This is often described as (closeted) gay British writer Terrence Rattigan’s best play, and based on the production currently at the Roundabout, I’m definitely inclined to agree. In July 1912, young cadet Ronnie Winslow is expelled from naval school for stealing – a crime he believably claims he didn’t commit – which proves to have an immense effect on his family. Though they defend his innocence with all of their might, will their sacrifices clear his name? Are their sacrifices, in the final analysis, really worth it? Having been engrossed by Rattigan’s Man & Boy a couple of seasons back, I was not surprised at the understated intelligence at work in this meticulously constructed play. What did surprise me was how very funny The Winslow Boy is. The Winslows are a zippy, quick-witted bunch, and though they are dealing with very serious issues, it’s highly enjoyable to watch their interactions with each other and the outside world. Lindsay Posner’s brisk, smart direction certainly helps, though I do wish the cast did hold a bit more for the laughs. 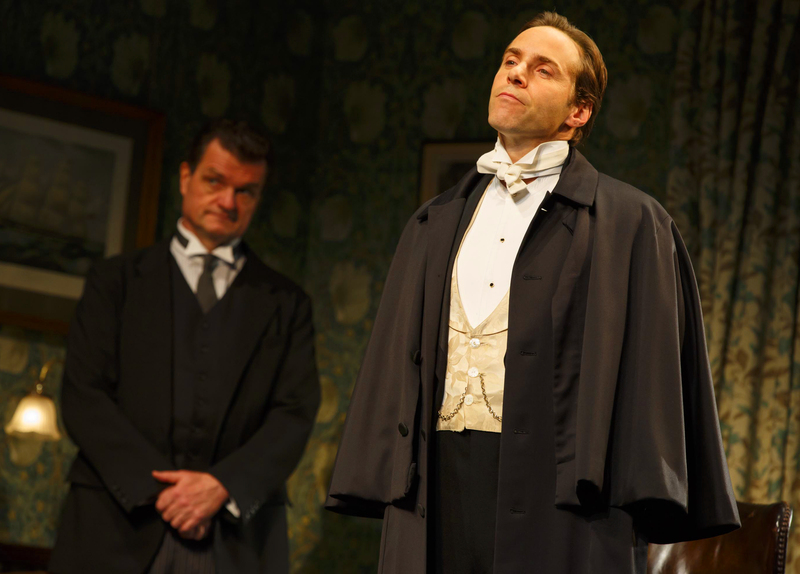 Though The Winslow Boy is a fairly lengthy four-act play, it’s a credit to both Rattigan and Posner that I barely felt its length. Roger Rees, who plays the father, gives a particularly intense performance, richly evoking the ardent Romanticism that lurked in many a Victorian heart. The line between something feeling like an exciting period piece instead of simply dated almost always lies in the quality of the acting. Whatever the period, if you play the needs of you characters with real passion, it won’t feel dated in the least. I am happy to report that is definitely the case with this production, and as such I highly recommend it!